The newest member of the Spectrafuge family, the 24D, features precise digital microprocessor control. 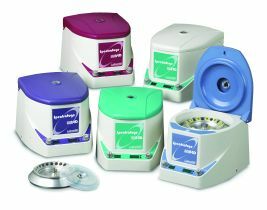 This centrifuge is loaded with features, yet has a list price low enough to make it the most economical high performance microcentrifuge on the market. 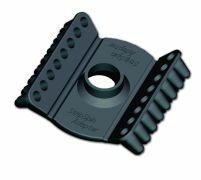 A newly designed, easy-access 24 x 1.5 ml rotor is supplied with the Spectrafuge 24D. This innovative rotor places the tubes on a plateau, where the user can easily grip their tops. The powerful brushless motor quickly accelerates the rotor to a maximum speed of 13,300rpm/16,000 x g. The controls are simple, consisting of only two knobs. 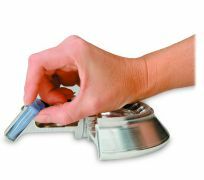 The speed knob is used to set the speed in either rpm or g-force. Pressing the knob toggles the display between rpm and rcf. Turning the timer knob sets the time parameter, while pushing it starts and stops operation of the unit. The last run settings remain in memory allowing for repetitive centrifuging without resetting of paramete. Extremely quiet and cool running, this unit maintains a small footprint. The Spectrafuge 24D is available in five accent colors.